In the basement of Melbourne's Century Building right across from Town Hall is a subterranean party spot that has been rocking Melbourne for 20 years. 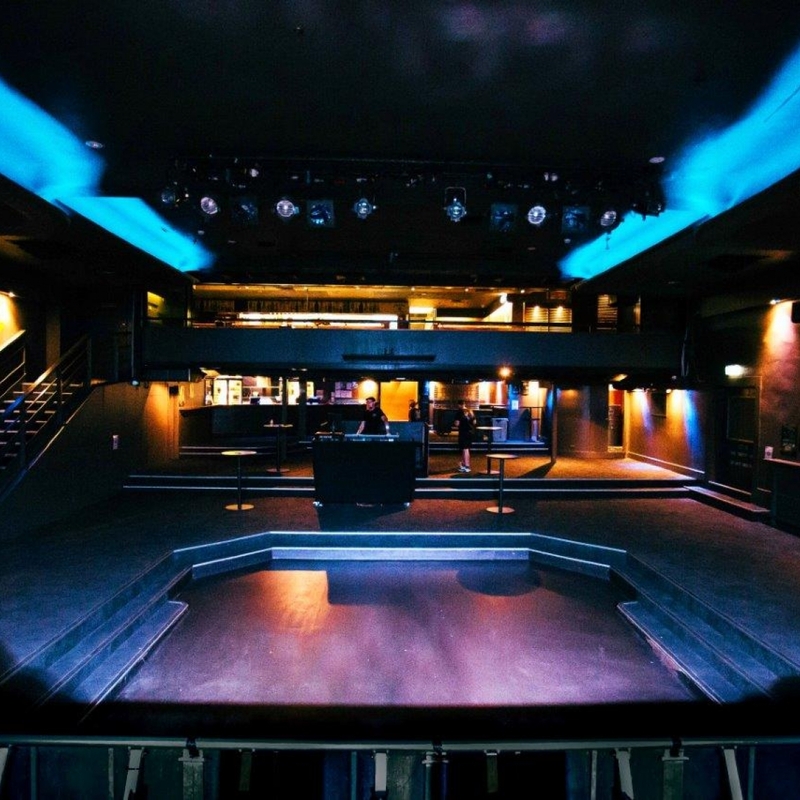 However, before Max Watt’s House of Music ruled Swanston Street as the undisputed capital of live music in the city, it was the Hi-fi Bar & Ballroom where legends like, Hunters & Collectors, Birds of Tokyo, Hoodoo Foo Fighters, No Doubt and The Strokes performed. When Hi-fi went into receivership in 2015, new owners renamed the establishment Max Watt’s and began luring acts like The Jezabels, Art Vs. Science and Laura Marling to its stage. The underground club is comprised of two rooms, The Ball Room and The Mezzanine. The Ballroom houses the main stage and main bar. The Mezzanine, the smaller of the two, offers a hidden bar, is entirely self-contained and available for hire. The venue is also the home of the legendary Melbourne International Comedy Festival Club where comedians and festival goers continue the night of laughter out on the dance floor. It gives the comedians an opportunity to blow off steam and the fans a chance to rub elbows with their favourite funny men and women. The drinks flow freely at Max Watt’s, but you may need to go elsewhere to get a bite to ear. Luckily on Swanson Street, you’re surrounded by a bevvy of exciting restaurants serving delicious meals. You can take one of 10 trams (Including the 1, 5, 6 and 16) to the Bourke St / Swanston St stop and Max Watt's is just a two-minute walk away. If travelling by train, getting off at the Flinders’ Street Railway Station would mean a 6-minute walk to the venue.